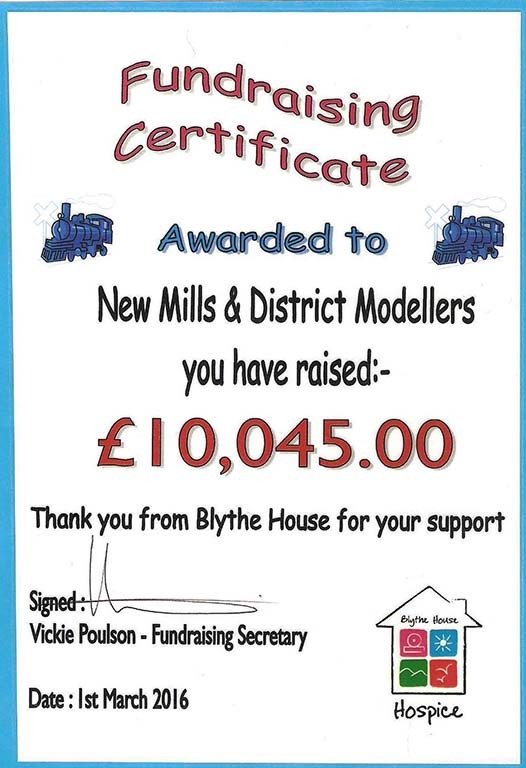 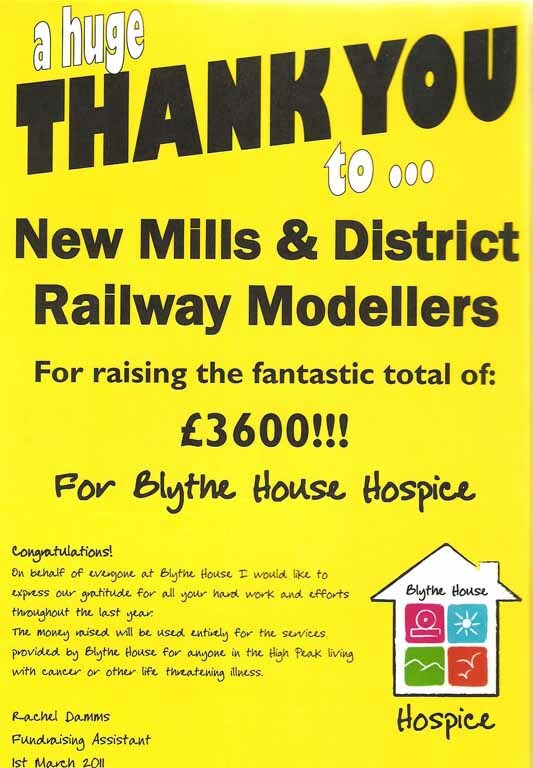 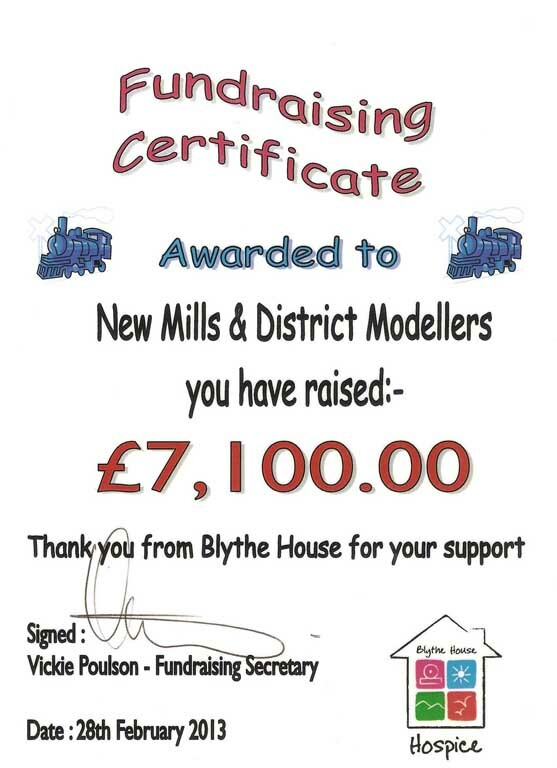 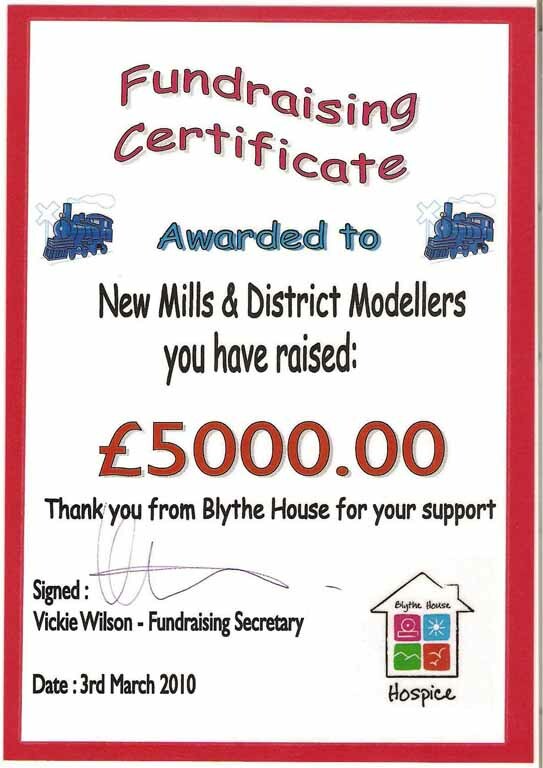 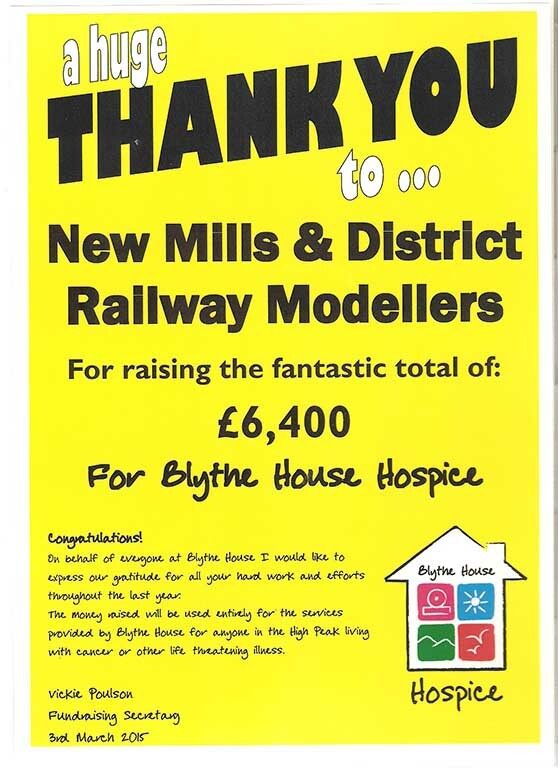 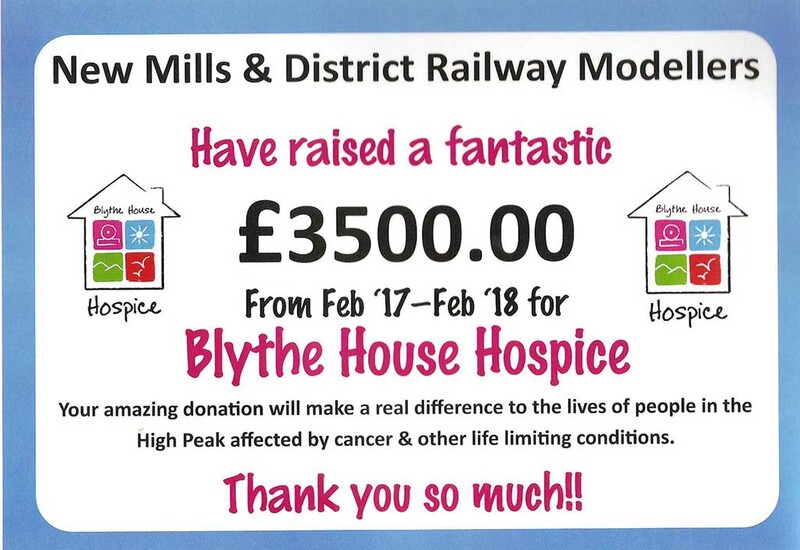 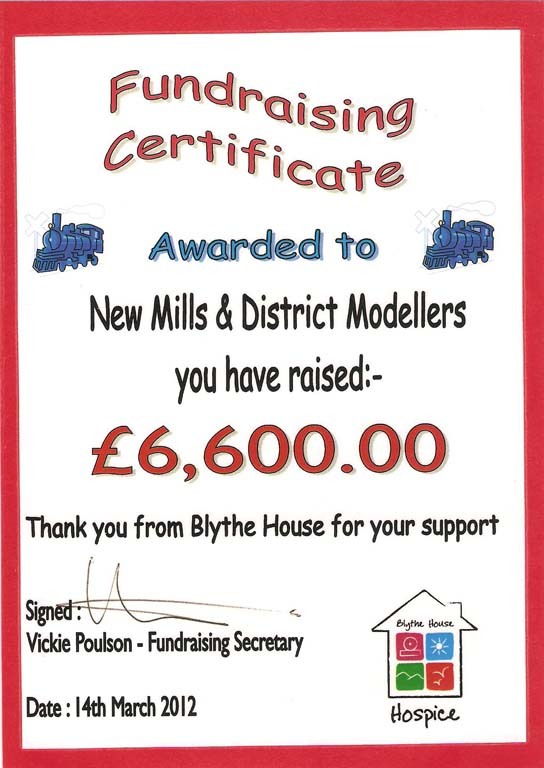 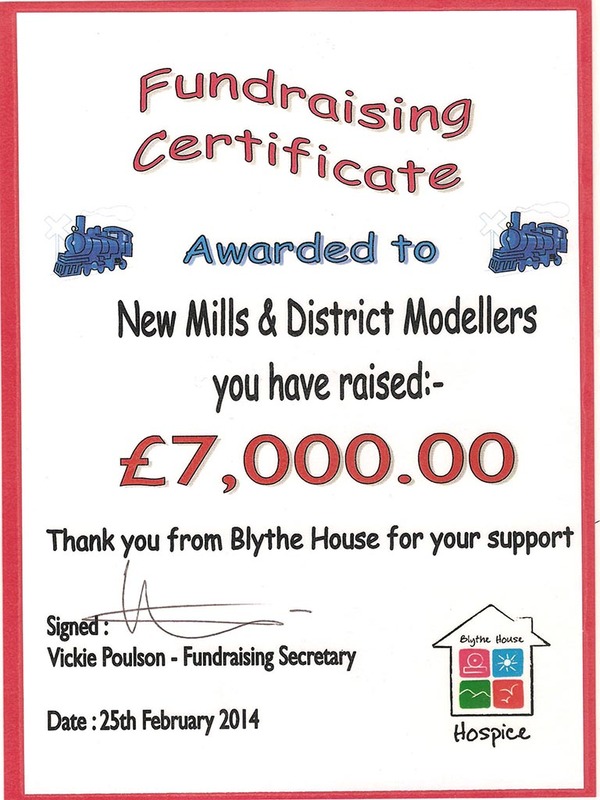 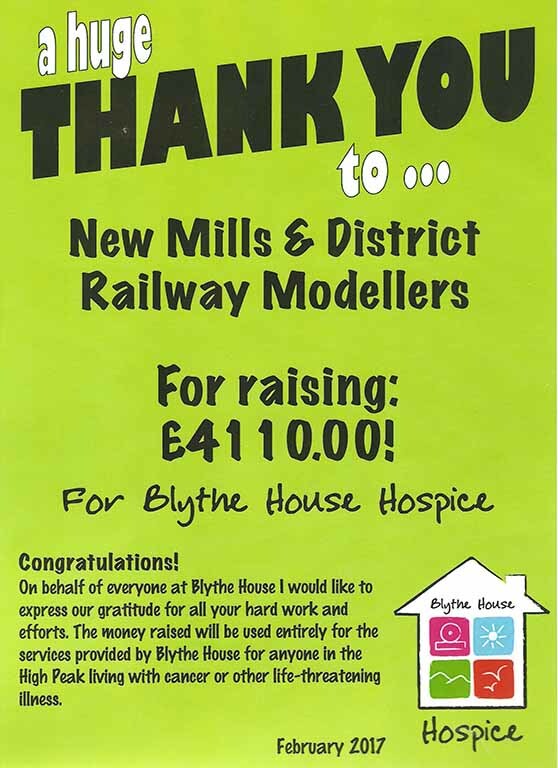 Since 2001 the Club has appealed for donations of model railway items to raise funds for Blythe House Hospice which is based in Chapel-en-le Frith. 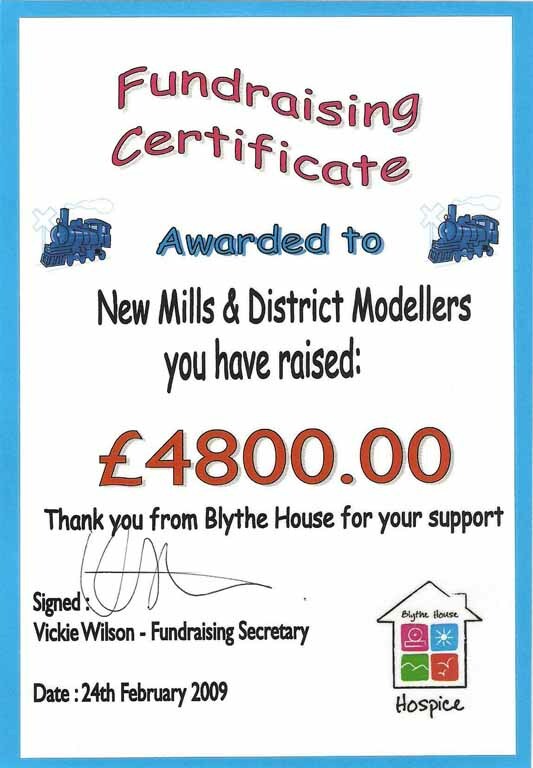 Donations range from single items to complete layouts, N gauge to Gauge 3. 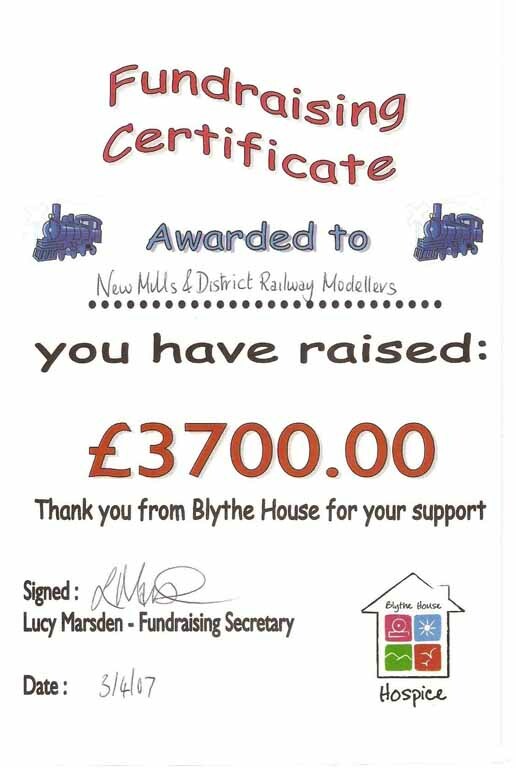 Donations have come from far and wide, Aberdeen to Guernsey and even Germany and South Africa. 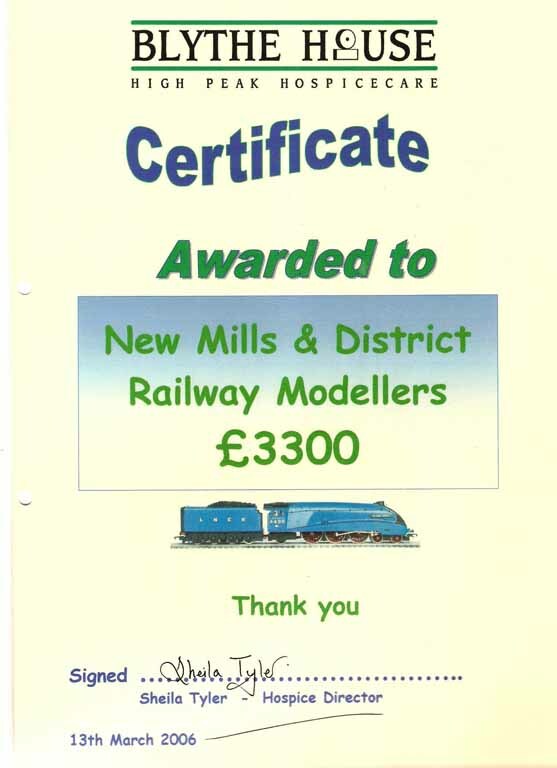 Sales are made throughout the year but mainly at the Club's annual February exhibition. 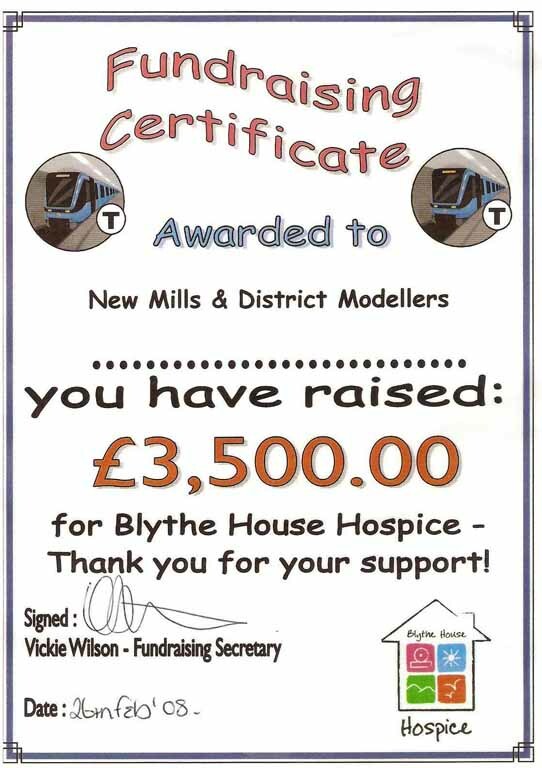 100% of the proceeds go to the hospice and the total is now over £60,000. 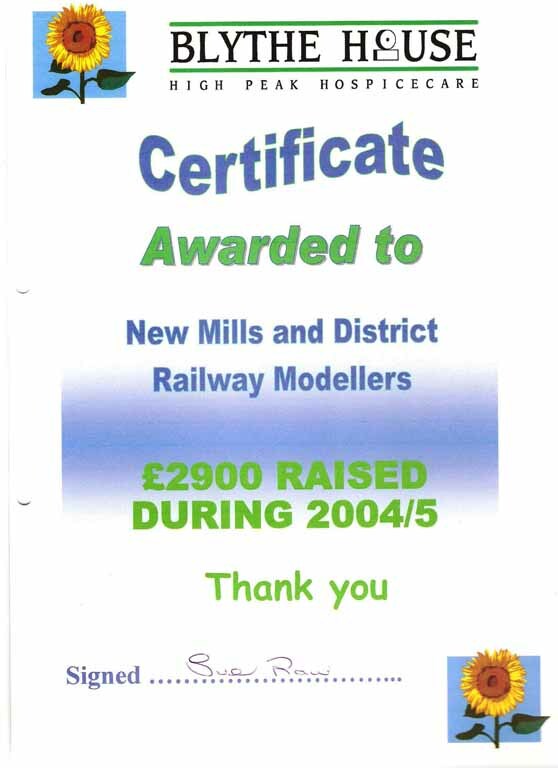 Many Club members are involved in selling the donated goods and where necessary adding value by servicing and repairing items.